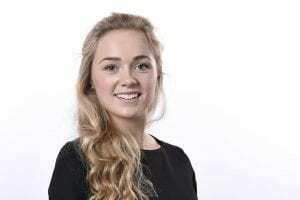 NCFM Higher Apprenticeship Student at Tulip Ltd, Annie Hughes, was recently interviewed by the Apprenticeship Ambassador Network (AAN), to learn about her experience since becoming a Young Apprenticeship Ambassador. In November 2017, Annie won the Tulip Apprentice Award for ‘Most Consistent Apprentice’ and also received a Highly Commended Certificate in the Higher Apprentice of the 2017 award category. You can read her interview with the AAN below. I have worked for Tulip Food Company for nearly two years now. They are the UK’s largest pork manufacturer and supply customers such as McDonald’s, Aldi and Marks and Spencer. I’m based at one of the 17 sites across the UK, in the East Midlands. Here I work within the Technical department to ensure safe, quality and legal food production. My day to day role varies, but I embrace being an Apprentice by always accepting new challenges and getting involved with new projects to constantly increase my knowledge of the industry. Completing A Levels in physics, maths and biology, I was aware that my career path would be down the scientific route. Originally, I had a place at Derby University to study Human Biology, but as the summer ended I wasn’t eager to start the course. Therefore I decided to defer my place and take a gap year volunteering in Thailand and explore other career options. During this year my interest for the food industry grew and I became more passionate about food culture and hygiene. I explored degree options incorporating this interest and this is when I discovered the Degree Apprenticeship with Tulip Ltd, in partnership with the National Centre for Food Manufacturing, University of Lincoln. The course is Food Science, incorporating microbiology, and biology was a school subject favourite! The concern of starting university with the uncertainty of what I wanted to become in the future vanished and I was eager to start the journey with Tulip. I am now aware of the career path I would like to take and I am already on my journey there before even completing my degree! What motivated you to become a young apprenticeship ambassador? The realisation of what could have been a financially difficult time, ending with a situation where I was still uncertain of where I wanted my career to take me, inspired me to become part of the YAAN. I want to make others aware of the benefits of an apprenticeship and how consideration should be given to apprenticeships as an alternative to further education. I believe it is always fantastic to continue learning and personal development, and an apprenticeship provides an excellent framework for this. The on the job learning is second to none and I believe I learn twice as much while I’m at work than at university as I see the issue in the flesh and gain endless experience in the industry itself. What has been your biggest achievement as a young ambassador? I haven’t been an ambassador for very long but I really enjoyed meeting all of the Chairs and Vice-Chairs of YAAN, learning from their experiences and contributing to the continued success of the network. Where do you see apprenticeships going over the next 10 years? I came from a school where apprenticeships were unheard of and completing A Levels and attending university were the only option. Therefore, I made it my mission to persuade my secondary school to allow me to speak at the school this academic year about completing an apprenticeship as an alternative to attending university. The students were very interested and I was shocked that the event had a better turn out than the UCAS event the week before! Where do you think young ambassadors have the most impact? The variety and depth of apprenticeships are growing year on year. There are already so many careers open to young people via apprenticeships. I am very excited to see the broad apprenticeship availability and career paths in years to come. What would make the biggest difference to your role as a young ambassador? Attending schools and talking to students directly of the opportunities which arise from completing an apprenticeship is very impacting. Students can be advised of the options available post leaving school but until they can relate to individuals and the options they chose it does not feel real to the students. Allowing students to speak directly to ambassadors gives opportunity to ask questions they may feel careers advisors and teachers are unable to answer. NCFM’s Higher and Degree Apprenticeships have been developed in partnership with employers to help address the growing need for higher level skills as the industry embraces advances in science and technology.